Dental health problems are common, but they are almost entirely preventable. Keep your teeth and their underlying structures healthier by following a few simple rules. Developing and maintaining a consistent dental hygiene routine can help reduce plaque and bacteria, which are associated with tooth decay and gum disease. Brush your teeth twice daily for at least two minutes using fluoride toothpaste. After brushing your teeth, use dental floss to remove plaque and debris along the gum line. Visit our West Hollywood dentist every six months for a professional cleaning and comprehensive checkup. X-rays can reveal signs of trouble between your teeth or under your teeth while a careful assessment of your teeth and gums can reveal common dental health problems early when they are most treatable. Check your gums regularly. Any swelling, puffiness, inflammation or bleeding indicates further evaluation is needed. All are signs of gum disease, which can lead to tooth and bone loss if it is not properly treated. Good dental hygiene alone cannot keep your teeth healthy. A balanced diet with plenty of tooth-friendly nutrients is also essential. Skip the processed, sugary foods and search out whole grains, fresh produce, lean meat and low-fat dairy instead. Any dental health problems should be addressed early. 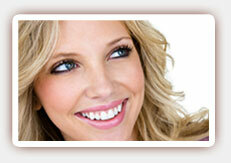 Prompt treatment often allows for more conservative dental procedures. Preventative treatments are also essential. Fluoride, dental sealants and braces are all examples of preventative treatments that can keep your teeth healthy. 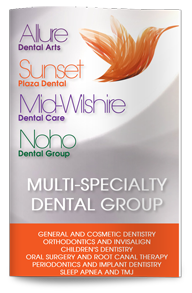 Contact our West Hollywood dentist to schedule your next appointment.